Parental child abduction is not recognized as a crime in India despite decades of evidence that show its detrimental impact on victimised children. To address this issue, the Ministry of Women and Child Development released a draft Bill which was examined and presented as a separate bill by the Law Commission. India’s refusal to sign the Hague Convention has made it a favourite destination for the parents who abduct their children. 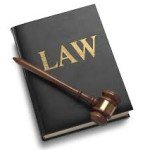 What are the recommendations of the 21st Law Commission? 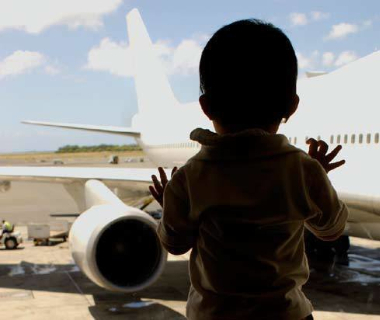 In its very first report, the 21st Law Commission of India (LCI) recommended a series of changes in the proposed draft law – “Civil Aspects of International Child Abduction Bill 2016” - by the Women and Child Development (WCD) Ministry. The report submitted by the commission fine-tunes the one drafted by the WCD Ministry, and adds the provision for punitive measures. Statistics: As per the report there are more than three crore Indians who live in foreign countries having cross border matrimonial relationships. Removes “abduction”: It recommended the removal of the term "abduction" from the Bill to bring it in consonance with the Hague Convention, which employs a more appropriate terminology, "wrongful removal or retention". Extends the scope: It extends its application to children below 16 years of age who have either been wrongfully removed to, or retained in India. Punitive measures: It recommends one-year jail term for wrongful retention or removal of a child from the custody of a parent. It also recommends three months punishment for wilful misrepresentation or concealment of fact as regards the location or information about the child or for voluntarily preventing the safe return of the child. The offenders may include one of the parents or family, relatives or others. 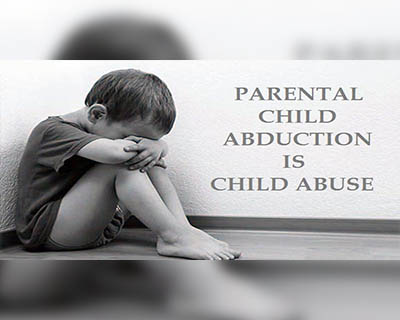 Scope of applicability: This Bill would be applicable to all such cases of inter-country “parental abductions” where a child, less than 16 years old, is taken away from India by one of the parents without the consent of the other. When the person claiming custody rights was either not exercising such rights at the time of removal, or had consented to the same or when the removal of the child would expose him to physical or psychological harm or otherwise place him in a non-conducive situation or when the person accused of wrongful removal was actually fleeing from any incidence of domestic violence, as defined under the Protection of Women from Domestic Violence Act, 2005. 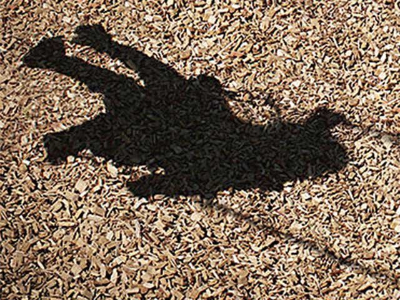 Why is a law on child abduction necessary? Still undecided. According to the sources in the WCD Ministry, the central government is yet to decide on whether India should accede to the Hague Convention or not. Signing this convention was recommended by a Law Commission report in 2009. Why In the majority of such cases, the runaway parent is a woman. This is forcing the government to be extra careful. When India joins the Convention, it means that women of foreign nationalities who run away with children can be brought back from contracting states.But such cases are far lesser than cases where Indian women come back to the country. Being a signatory, India too would have to ensure that Indian citizens and their children, who have returned from any of the contracting states, will have to be sent back for the matter to be settled legally in that country. Statistics: According to data cited in the recent Law Commission’s report, 68% of the parents who take away the children globally were mothers, with 85% of these mothers being the primary caregivers of their children. When did the Law Commission take up this issue? As per Section 362 of the Indian Penal Code, 1860, “Abduction” is defined as an act compelling or taking away a person by deceitful means inducing him to go from any place. Is it punishable Abduction as such is not an offence; rather it is an auxiliary act not punishable in itself, but when it is accompanied by an intention to commit another offence, it per se becomes punishable as an offence. 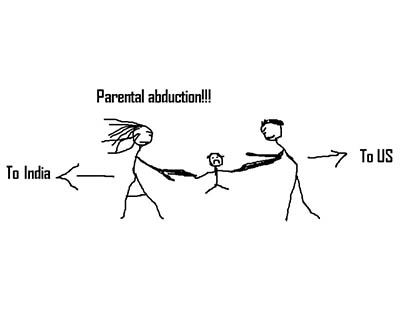 In the case of “parental abduction”, these so-called “abductors” are most of the times loving parents. When do parents ‘abduct’ their children It often occurs when the parents separate or begin divorce proceedings. A parent may remove or retain the child from the other seeking to gain an advantage in expected or pending child-custody proceedings or because that parent fears losing the child in those expected or pending child-custody proceedings; a parent may refuse to return a child at the end of an access visit or may flee with the child to prevent an access visit or fear of domestic violence and abuse. Where are the legal precedents for this issue? “Welfare of the child”: As Lindley LJ said in Re: McGrath (Infants),  (in the UK) in such cases, the dominant matter for the consideration for the Court is the welfare of the child. “Best interests of the child”: Along with these words, the Convention on the Rights of the Child, 1989 was referred to in most of the Indian judicial pronouncements in such matters. The courts emphasized the importance of the principle of best interests of the child in Laxmi Kant Pandey v. Union of India, Gaurav Jain V. Union of India and Nil Ratan Kundu v. Abhijit Kundu. “Comity of courts”: The Supreme Court in Dr. V. Ravi Chandran v. Union of India (2010) and Arathi Bandi v. Bandi Jagadrakshaka Rao (2014) - directed to return the respective children to the country of their “habitual residence” on the principle of “comity of courts” principle for the determination of their best interests and welfare which is the prime consideration. 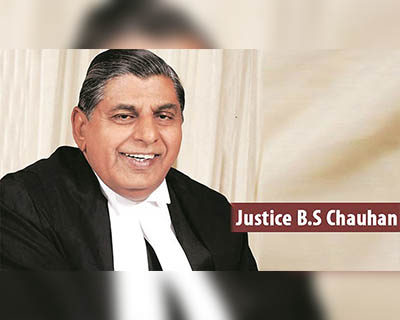 No to “Forum shopping”: In Roxann Sharma v. Arun Sharma, AIR (2015), the apex court observed that “...the child is not a chattel or a ball that is bounced to and fro the parents. It is only the child’s welfare which is the focal point for consideration”. By this order, it deprecated the practice of “forum shopping”. Surya Vadanan v/s State of Tamil Nadu (2015) is the watershed verdict of the apex court in this matter. As part of this judgment, the apex court succinctly reiterated all principles that the Courts have applied over the course of years to judge cases of international parental abduction. 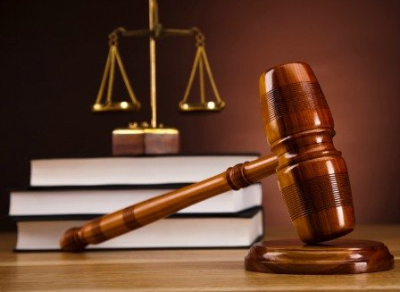 Significant aspects: In this case the court opined that the principle of “comity of courts and nations” must be respected and the principle of “the best interest and welfare of the child” should apply. Also, the rule of “comity of courts” should not be jettisoned except for compelling special reasons to be recorded in writing by a domestic court. Primary importance must be given to the welfare of the child and secondly, the “principle of comity of courts” – a principle of “self –restraint”, must be considered. In cases where the jurisdiction of the foreign court in not in doubt, the “first strike” principle could be applicable, namely, whichever court seized the matter first ought to have prerogative of jurisdiction in adjudicating the welfare of the child. Further, whenever the matter is pending in a foreign court and interim order has been passed by the said court, the Indian court should not proceed with the matter. Comity of courts: “Judicial Comity” or “Comity of Courts” is the principle according to which the courts of one state or jurisdiction will give effect to the laws and decisions of another, not as a matter of obligation, but out of deference and respect. Forum Shopping is the informal name given to the practice adopted by some litigants to have their legal case heard in the court thought most likely to provide a favourable judgment. Welfare of the child and best interests of the child – will not just be measured by money and physical comfort but also encompass moral, religious and spiritual welfare. 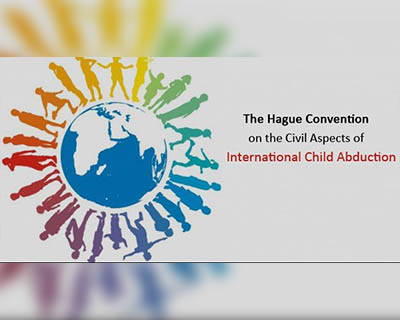 Who all are signatories of the Hague Convention? It was concluded on 25 October 1980 and it entered into force between the signatories on 1 December 1983. As of March 2016, 94 states are party to the convention. All the objectives of this Convention are based on the idea of – “the best interest of the child”. Its primary objective is to protect children internationally from the harmful effects of their wrongful removal or retention and to establish procedures to ensure their prompt return to the state of their habitual residence, as well as to secure protection for the rights of access. It aims to preserve whatever status quo child custody arrangement existed immediately before an alleged wrongful removal or retention thereby deterring a parent from crossing international boundaries in search of a more sympathetic court (forum shopping). Scope: This Convention applies only to children under the age of 16. Signing the Convention will ensure enforcement of custody orders of foreign courts. Central Authority: Each country that has signed the Convention must have established a Central Authority which processes such applications. This Authority must, inter alia, help locate children; encourage amicable solutions and; help process requests for return of children. How challenging is it to settle child abduction disputes in India? As of now, the Indian Government and its court system believe that once the child is in India, it is their obligation to decide on such a case. Almost in every such case, the abducting parent wins a favourable verdict, let alone the lengthy, exhausting, costly, career affecting legal process that both the parents have to undergo. Ignores the foreign court orders: Even in the presence of an existing court order from the country of origin, informing the abducting parent that he/she needs to return the child and a full custody has been awarded to the ‘left-behind’ parent, India simply ignores those orders. The primary challenge is the time taken to locate the abducting parent in hiding. Next comes the time spent in finding a lawyer who is aware of such international laws and ready to take up the case. Finally, the lengthy legal process and delays sap away all the remaining energy and money. In the meanwhile, the abducting parent may file many frivolous cases just to delay the matter and those cases need to be decided by the lower courts first of India first. No matter what the left-behind parent does, Indian courts will always find reasons to say no to return the child. Never ending case: So far as the Guardians and Wards Act, 1890 is concerned, the issue of custody of a child remains always open and does not attain finality because of temporary orders issued by the courts of India. With the passage of time, changed conditions and circumstances, the Court may vary such an order, if it is so necessary in the interests and welfare of the child. The doctrines of “estoppel” and “res judicata” have no application in such cases. “estoppel”: Legal rule of evidence which prevents a party from making an allegation or denial that contradicts what it had previously stated, or what has been legally established, as the truth. “res judicata”: A matter that has been adjudicated by a competent court and therefore may not be pursued further by the same parties. The issue of parental child abduction should be brought to the notice of the Supreme Court of India since the Union MInistry of Women and Child Development has taken lightly, initiative of the High Court of Punjab and Haryana to resolve the issue. The Law Commission of India headed by Justice B.S.Chouhan has sincerely addressed the issue in public interest but in vain.